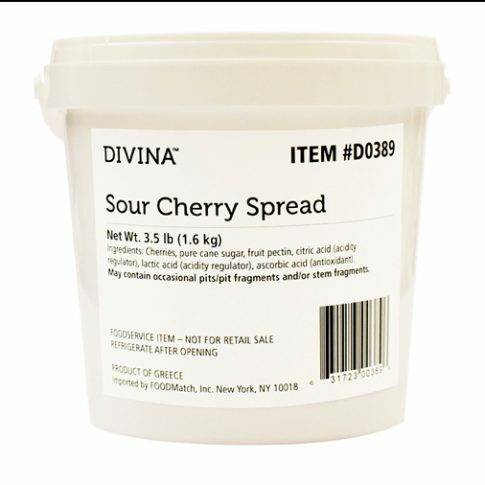 Divina Sour Cherry Spread, Bulk Pails - Zuercher & Co.
Divina Sour Cherry Spread has a bold, fruit-forward flavor that captures the essence of a ripe Summer cherry. Both tart and sweet, this versatile spread is a wonderful menu addition when used to sweeten a savory sandwich, as a cheese condiment, baked into pastries or spread into a yogurt parfait. For a special treat, try it in a glaze or marinade for ham, turkey or Brussels sprouts.